This celebrated Agricultural Reformer and active promoter of various beneficent enterprises was a most voluminous writer. During sixty years he was almost constantly employed in producing more or less useful books. 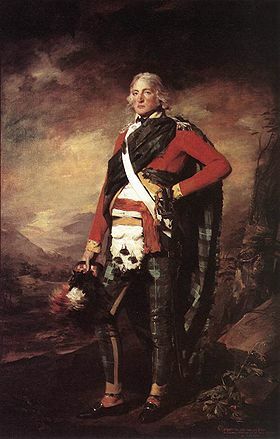 He was born at Thurso Castle, in Caithness, and received his education at the Edinburgh High School, and at the Universities of Glasgow and Oxford. In 1775 he was admitted a member of the Faculty of Advocates, and afterwards was called to the English Bar. Five years later he was elected to represent his country in the Legislature; and for more than half a century Sir John Sinclair occupied a prominent position in the world of politics, as well as of science and literature. His reputation as an Agriculturist extended far and wide throughout Europe and America; and statesmen and political economists, it they did not aid them as they ought to have done, professed for his labours the highest esteem. "The Tartars, who live wholly on animal food, possess a degree of ferocity of mind and fierceness of character which form the leading feature of all carnivorous animals. On the other hand, an entire diet of vegetable matter, as appears in the Brahmin and Gentoo, gives to the disposition a softness, gentleness, and mildness of feeling directly the reverse of the former character. It also has a particular influence on the powers of the mind, producing liveliness of imagination and acuteness of judgement in an eminent degree." Compare the Voyages of Volney, one of the most philosophical of the thinkers of the eighteenth century, who himself for some time seems to have lived on the non-flesh diet. Attributing the ferocious character of the American savage, "hunter and butcher, who, in every animal sees but an object of prey, and who is become an animal of the species of wolves and of tigers," to such custom, this celebrated traveller adds the reflection that "the habit of shedding blood, or simply of seeing it shed, corrupts all sentiments of humanity." (See Voyage en Syrie et en Egypte.) See, too, Thevenot (the younger), an earlier French traveller, who describes a Banian hospital, in which he saw a number of sick Camels, Horses, and Oxen, and many invalids of the feathered race. Many of the lower Animals, he informs us, were maintained there for life, those who recovered being sold to Hindus exclusively. The Code of Health and Longevity Or a Concise View of the Principles Calculated for the Preservation of Health and the Attainment of Long Life. Vol III: (link to archive.org) by John Sinclair, pub 1806.